Your PC crashes for no apparent reason. You keep receiving error messages and don't know why. Your PC runs much slower than when you first bought it. Are you frustrated by your computer's bad performance? Do you really want an instant solution? Before you start looking for a new computer, try running a Registry Cleaner on your system to repair the backbone of your machine. Computers perform best when they receive regular and professional maintenance. 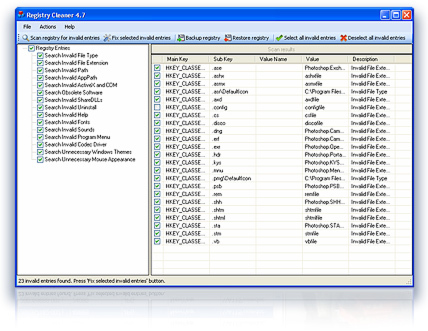 This award winning software starts by conducting a deep scan of your registry, checking for file extension errors and other registry conflicts. 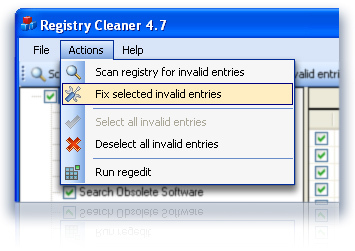 With Registry Cleaner you'll see immediate increases in performance and decreases in system conflicts. Click here to run a FREE scan. Two minutes of scan can save you months of frustration and crashes. 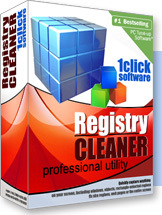 Registry Cleaner is already included into All-in-One System Optimizer suite. 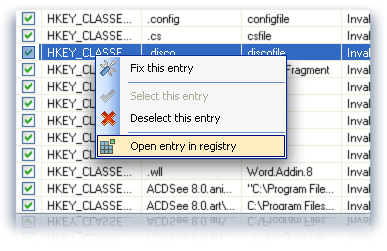 Easy to use, no knowledge of the registry is required.